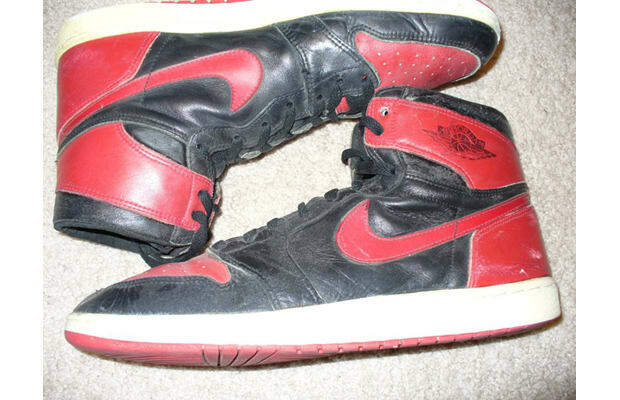 These OG 1s are, to put it kindly, dogged. The uppers are still in OK shape, but those outsoles speak to borderline obsessive wear, perhaps at the "She's Gotta Have It" Mars Blackmon level. The true gem here is the OG pair of windpants (which, admittedly, in a M, may not go with size 13 feet). 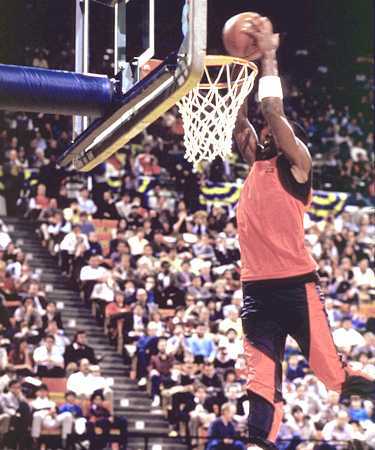 But if you have rookie MJ feet and a smaller frame, you're a sleeveless T shirt and a rope gold chain away from imitating Mike's '85 Dunk Contest look.